16 March 2016 – Over the past couple of weeks, I’ve noticed the word Revolution come up over and over again. In this post, I’ll explore the typical causes of revolution, why the system is ripe for it, and how one may already be underway. When most people think of revolution, they think of big bloody wars where a government in power is overthrown by mobs of angry people. Although these revolutions get all the glory in history books, it does not always happen this way. One definition is even simply “a dramatic and wide-reaching change in conditions, attitudes, or operation.”  For purposes of this discussion, we’ll assume that revolution means to forcibly exchange one power structure for another, either violently or through political or economic means. In a great essay regarding the seeds of revolution, Charles Hugh-Smith adds the suppression of social mobility as a contributing factor to the fragility of social order. In other words, “how easy is it for a working class family to rise up to the middle class, and how easy is it for a middle class family to enter the political and financial aristocracy?”  Really, this is an extension of income inequality since starving the average citizen of the economic freedom to earn an honest living deprives them the means of being able to rise. Eventually, once people reach a breaking point and the benefits of revolution outweigh the risks, the rest becomes inevitable. Stories like this happen all over the country every day, and it breeds resentment among the citizenry who are just trying to make an honest living. They feel the intense squeeze of bureaucracy that makes it near impossible to earn an honest living all while the upper 1% get to break the rules at no consequence. I think it is fascinating that we humans are probably the only living creatures as far as we know who live in two realities. There is the objective reality. There is the telephone or the computer screen, or the computer that we are talking on right now. Then there is the imagined reality, which is really in a way the most important reality to human societies. The imagined reality are the things that we are discussing right now. Country borders are imagined. There is no such thing as the United States, or Canada, or Russia, or China. The borders are something that we have created out of imagination and then codified into law so they actually become very important. You can say the same for culture, or for religion, for so many things including economics and money. Money is an imagined reality that we have codified on an economic level; and in fact, on a legal level. Therefore, it has tremendous power. That also gives us the hope—as I mentioned just a few minutes ago, people are waking up around the world, understanding that we live on a fragile space station without any shuttles. We are creating a new imagined reality. But we understand that the old one does not work. Revolutions always happen—and they can happen pretty quickly—because people drop one imagined reality for one that is more appealing to them. 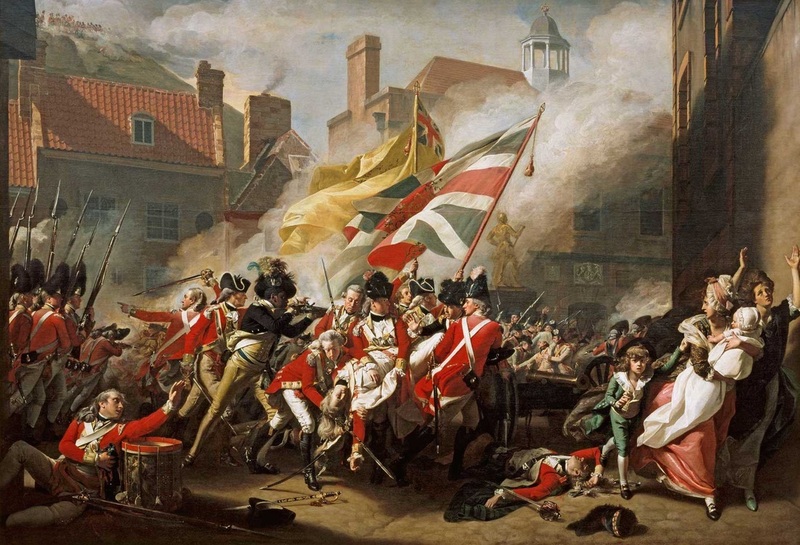 As an example, back in the 1700s, there was a believed and imagined reality that American hunters, and farmers, and fisherman could never possibly beat the British military, the most powerful in the world at the time. But George Washington saw something different during the French and Indian War. Tom Paine, Thomas Jefferson, and others wrote that we could defeat them by simply hiding behind trees like Indians and firing out at these lines – rigid lines of red coated targets. The imagined reality very quickly changed. It rallied everyone to say “yeah, well, let us take on the British.” This is true throughout history. Right now, we are at one of those pivotal times where people are understanding that the imagined reality of this economic system that has failed us, this death economy, needs to be replaced by a new reality of a life economy that is based on cleaning up pollution, regenerating destroyed environments, and alleviating the causes of terrorism. This concept of “imagined realities” really struck home for me on how important the psychology of the masses are towards considering or not considering revolution as an option. Talk about not being able to trust what you see in the news. This is a blatant manipulation of public opinion by those in power in order to keep people believing that continuing to elect criminals is a good idea. 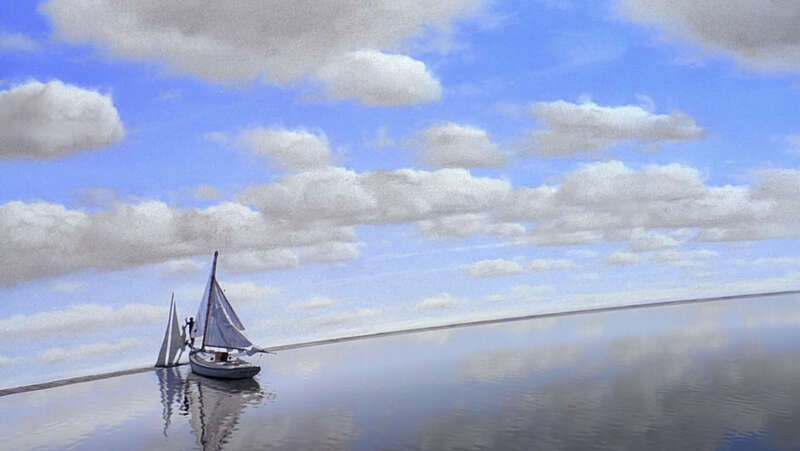 What happens when people realize they’re living the Truman Show? What happens when their imagined reality changes? But of course the deception runs much deeper than just low-grade paid actors promoting the interests of companies and politicians. Perhaps the oldest tried-and-true method of keeping the people in line are the proverbial bread and circuses. The Romans used free bread and endless games put on as distractions. In modern times we have more sophisticated tools like mindless TV entertainment, 90% of which is controlled by only 6 companies , and of course endless entitlement programs where the government taxes productive members of society and redistributes those earnings to the unproductive members of society. What better way to stop social mobility than to make people dependent on the State for their very existence? As lovely as free food or free income for everyone sounds, it serves only to create dependency on the State. Eventually, when so many people are dependent on the system that the system no longer has enough means to support them, people begin awakening from one imagined reality into another. Is it possible that a revolution happens in our lifetime? Is it possible that the seeds for revolution have already been sown and that it’s already a forgone conclusion? Remember, revolutions don’t need to be bloody. Here are some examples of mini-revolutions that have flashed across my news feed recently. All of these are actual events unfolding that illustrate people actively challenging the system. Over a year ago I read on Martin Armstrong’s blog that the coming presidential election cycle would probably result in a non-establishment candidate winning because, based on his models of confidence in government, people were approaching a tipping point in their acceptance of the existing political power structure. Ever since then, I have firmly believed that Donald Trump and Bernie Sanders have done so well not because either of them is particularly qualified for the job, but that the masses are desperate for somebody who isn’t an “insider.” An excellent article by Rolling Stones Magazine I came across talks about this exact topic. Indeed our electoral process is fake and dysfunctional. I learned this first hand when I went as a delegate to the 2012 Republican National Convention in Tampa. The miles of barbed wire fencing guarded by military were carefully hidden from cameras, vote results were teleprompted before being taken, and news reporters spent more time powdering their faces in between shots than asking hard questions of politicians. Truly, the conditions were ripe for somebody to break up the game. This is why not-so-coincidentally both major parties have had to deal with outsiders raining on their usual parade. …many of [Trump’s] critiques of the process are the same ones being made by Bernie Sanders. The two men, of course, are polar opposites in just about every way – Sanders worries about the poor, while Trump would eat a child in a lifeboat – but both are laser-focused on the corrupting role of money in politics. Whether or not a Trump or Sanders is the right person for the job is beside the point. After all, Karl Marx, Lenin, and Mao Zedong were all born into wealthy families who used social/economic/political injustice as a platform to trigger revolutions that later lead to human atrocities committed under those new governments. The point is that the average citizen has reached a point where they are ready to vote for anybody that isn’t status quo. Basically, if two-thirds of the state legislatures call for a constitutional convention, that convention can then pass amendments to the Constitution. 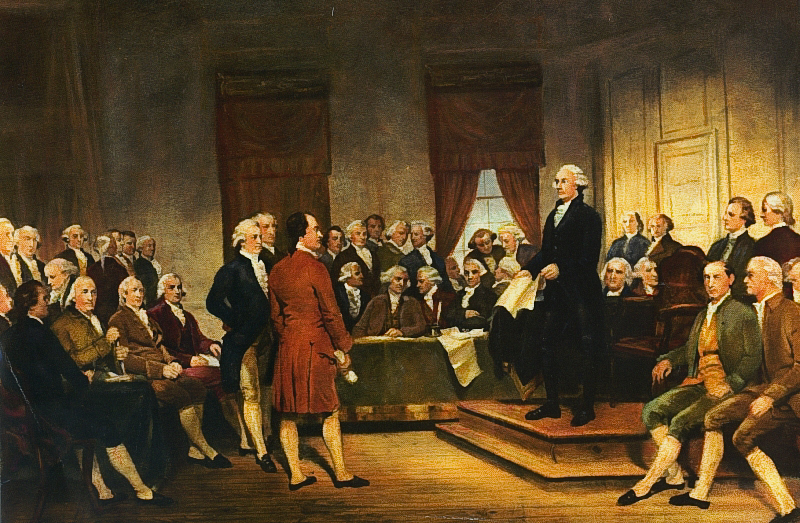 Although three-fourths of the state legislatures (38 states) would have to approve the amendments at the convention, this was a tool clearly put into the Constitution by the Founding Fathers to allow the individual states to challenge an overbearing central government. Perhaps one form of revolution could be one where the states assert their power over the central national government. In a similar vote of no-confidence, there is a growing movement within the United Kingdom to break away from the European Union. Here you have a major world power threatening to break up the current power structure in Europe and replace it with something else. Revolutions take many forms, but this is without a doubt a revolt by bankers against the central planners. As central banker policies get more and more desperate to save themselves, expect an increasing number of banks to start breaking ranks. Banks aren’t the only entities in the private sector openly defying authorities. Much press has been given recently to Apple’s defiance of the FBI’s insistence that they provide a backdoor entrance to their iPhone operating system. Like banks, often times business is in cahoots with lawmakers. However, once their interests no longer align, big business can be a powerful weapon against government. In this case, Apple risks giving up the iPhone’s reputation as a very secure smartphone, which would no doubt hurt their businesses tremendously. Suddenly their motives are directly contradictory to those of government. At first, other technology companies were slow to support Apple but Microsoft has since filed an amicus brief backing Apple. This could be the start of a big rallying cry against the overreaching powers of the central government. Vandwelling is one escape. Another is the infamous tiny home movement, and yet another is the off-grid homesteading lifestyle. In a great video I watched entitled Living Off the Grid is Harder Than You Think, a mother who together with her husband and two children gave up the suburban house, corporate life, and mortgage payments to live off-grid in the woods. Although many view her as an outlier of society, she believes they are the new trend. I think she may be right – big shifts always start on the outside of society and work their way inwards. Regardless, this is a clear example of a movement within the country of people giving up one imagined reality for one they prefer much more. There are those that rebel against the system by changing their lifestyles, and there are those that rebel against the system by giving up their citizenship. This has been a growing trend over the past decade, particularly as the US government has drastically increased its taxation and capital control over Americans living overseas. To try and stop this exodus, the government has increased its fee to abandon citizenship from $450 to $2,350. However, people are still paying despite the 5-fold increase. The latest statistic is that $12.6 million is spent annually on Americans giving up their citizenship. These former Americans no longer felt the benefits of being an American were supported by the cost that comes along with that status. Revolutions throughout history come in all shapes and sizes. They generally spring up because of large gaps in income whereby the upper 1% of society hoards a hugely disproportionate share of the wealth, not just starving average citizens of wealth but – more importantly – starving them of the ability to work hard and move up in life. Conditions in America and around the world are exhibiting all the classic signs of a society ripe for some form of revolution. The small businessman in America can no longer survive in a system that is rigged to favor those in power. 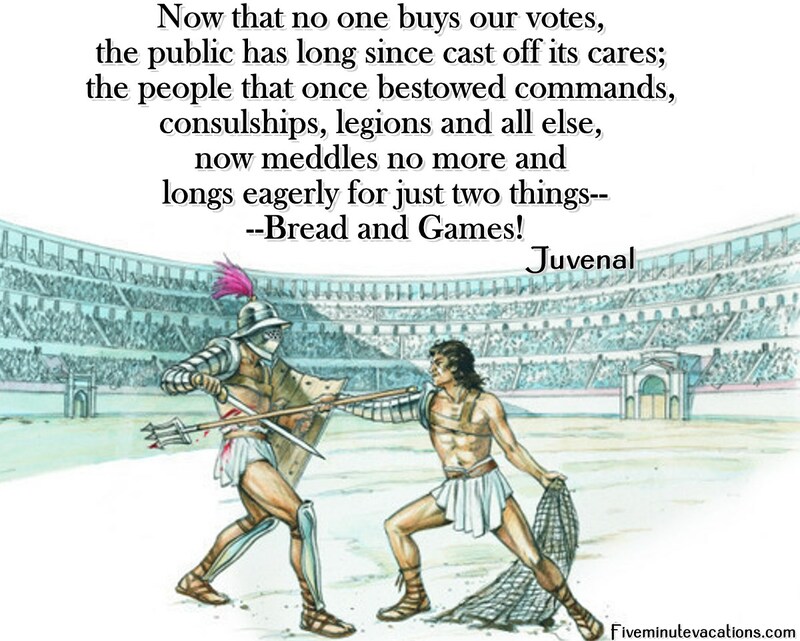 Politicians say they want to help but really it’s just grand theater, smoke and mirrors to hide the ugly truth, and they keep the people believing in the system through the bread and circuses of manipulated press and grandiose entitlement programs. However, the signs of people’s malcontent with this system are becoming more and more apparent the bigger the beast grows. Voters are turning to non-establishment candidates in a desperate cry out for anything but the same old career politicians. State legislatures are feeling so burdened by the federal government that some are even calling for a new constitutional convention. Private banks and companies alike are both starting to openly defy the central planners. Average Americans are giving up on the Old American Dream for a New American Dream in greater and greater numbers each year. Some are even giving up on being American entirely. The seeds have been sown. Imagined realities are changing. If history and present trends are any guide, our society is ripe for a revolution. The only question will be what type. 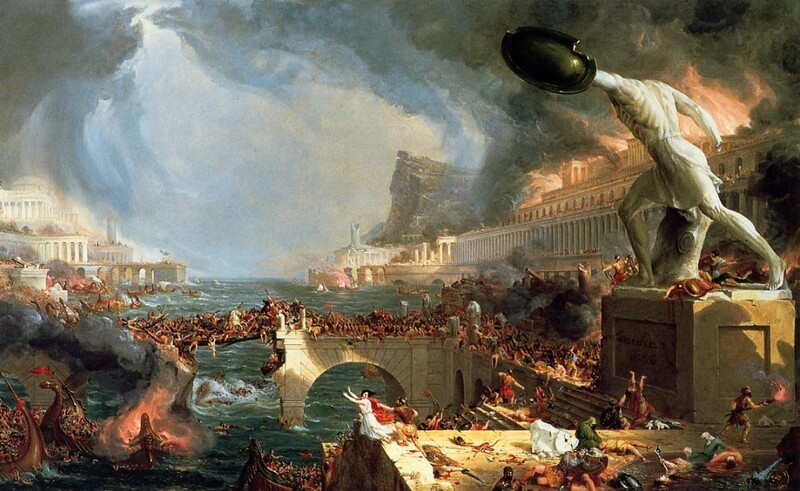 Your essay reminds me of a great little book by Michael Grant, The Fall of the Roman Empire. Basically his thesis is that the government alienated almost every segment of society: the pagans, the Christians, the army, the poor, etc. By the end they had no support, at least in the western empire. Looks like the American empire is well down that path.